The luxury-seekers enjoyed the cosy comfort at Novotel Imagica, located right beside the theme park, with the lush and lavishness. 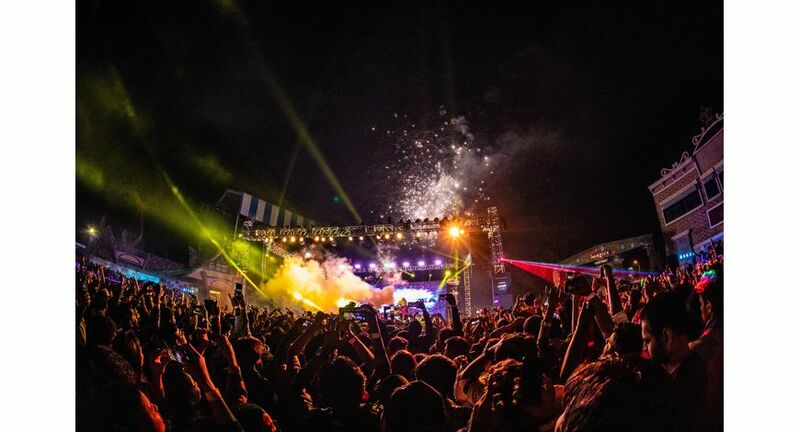 Imagica, India’s first and favourite themed destination, welcomed 2019 in its inimitable style and festive spirit with New Year Bash 2019 – a special year end fun-filled bash featuring Bollywood’s top DJ and remix artist DJ Suketuand late night rides. Over eight thousand, people danced through the night to the pulsating and foot-tapping beats of DJ Suketu as the celebrated music–maker weaved his magic with some fabulous remixes which lifted the spirit and energy of the guests, several notches higher. "Performing at the New Year Bash 2019 in front of such a huge crowd has been an unforgettable experience for me as the vibe and energy exuded by the guests, electrified the atmosphere. Add to it, Imagica's magnificent ambiance that set the tone for such an enthralling party and also brought out the best in me,” said DJ Suketu. Imagica also offered unlimited fun and engagement throughout the evening with its popular late night rides, indoor attractions and the Grand Imagica Parade. What’s more, a delectable range of food and beverage options at the Imagica restaurants kept the guests at the peak of their energy. And as guests ushered in the New Year, they were treated to a spectacular and vibrant firework show to celebrate the onset of 2019. Post DJ Suketu’s grand performance, guests of the New Year Bash 2019 continued welcoming the New Year by enjoying camping in tents amidst a perfectly curated set up under the stars , complimented with dimly lit bonfire and unplugged music. The scenic setting overlooking the gorgeous valleys of Sahyadri only added to the experience.